External hard drives are ideal for use on a desk or other workspace and offer large capacity option. Each hard drive is manufactured using only durable, high-quality aluminum for the enclosure—no cheap plastic casings. Data security concerns on portable storage devices are at an all-time high—it has become increasingly important for corporate users to encrypt data on such devices. The diskGO® Secure Portable Hard Drive is the perfect solution for these users seeking a fully encrypted storage product. 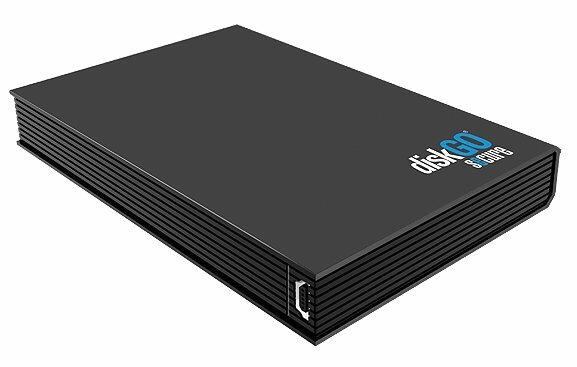 Utilizing government standard 256-bit AES hardware encryption, the diskGO Secure Hard Drive is an elite security option. Unlike software encryption, the specially designed hardware encryption controller encrypts data fast and on-the-fly with no noticeable slowdown in data transfer rates. The encryption is also 100% mandatory—it is impossible to store or access data on the device without the users password. To prevent the creation of perceivably obvious passwords, complex passwords are required for setup. As an added level of protection, personal files are erased automatically after eight consecutive failed password attempts. Using the diskGO Secure Hard Drive is an easy, user-friendly experience—just follow the wizard using the supplied setup disc to get started. 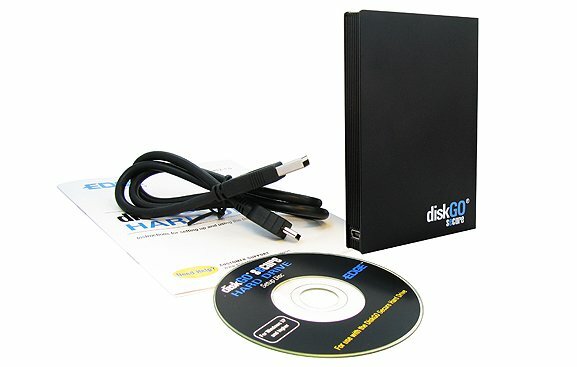 After completion, only the diskGO Secure Hard Drive is needed for use—no software to install and it can be used on both Windows and Mac computers. When an encrypted portable storage solution is needed, the diskGO Secure Hard Drive is a smart choice. 1. 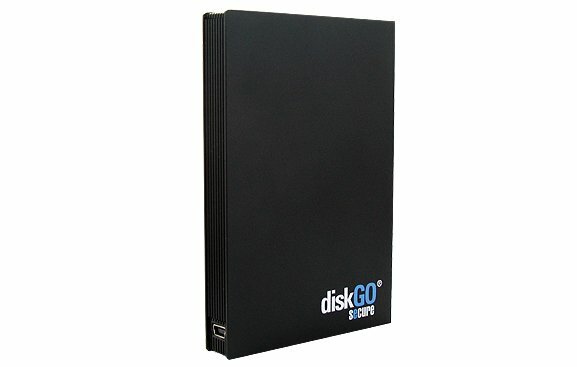 Is it possible to store data on the DiskGO Secure Hard Drive that is not encrypted/password protected? No—there is no way to store unencrypted data on the device. A password is the only way to access stored data from the hard drive. 2. I forgot my password—how do I access my data? reference in case it is forgotten. If your password is forgotten, you can choose “Erase Device” from the login screen and follow the message prompts. 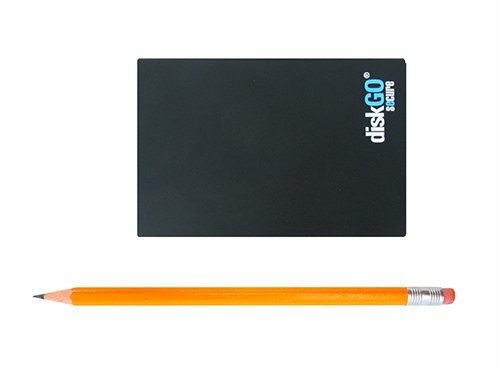 This will erase all stored data on the DiskGO Secure Hard Drive and the original Setup Disc will be needed to use the device again to establish a new password. 3. I entered my password wrong eight times and my drive erased. Why did this happen? hacking attacks. If the drive erases due to excessive failed password attempts, you will have to use the Setup Disc again. 4. What is the Security Manager and how do I access it? inside the DiskGO Login drive). 5. I lost my DiskGO Secure Hard Drive Setup Disc—how can I complete set up again? You can download the setup file from www.EDGEMemory.com/support and run from your Windows computer. 6. I have a Mac—how do I use the DiskGO Secure Hard Drive with it? You will first need to set up the DiskGO Secure hard drive under a computer running Windows XP or higher (see “Setting Up” on page 2). During setup, ensure that you select “MAC/PC” as the format option when prompted. After setup is complete, the DiskGO Secure Hard Drive is cross-compatible with systems running Windows XP+ and Mac OS X 10.5+. 7. I get an error when I log out of the Mac software. Why does this happen? If you get the below error when logging out of the Mac software, “eject” the drive labeled “DISKGO” first before logging out. The Mac will consider this a “safe removal” of the drive and will not produce the error when logging out or unplugging the DiskGO Secure Hard Drive. 8. After I finish the software setup wizard, I get an error that says “This program might not have installed correctly.” What do I do? Depending on the exact build of Windows, you may see this Windows message prompt after setting up the DiskGO Secure Hard Drive. If receive this prompt, please select the “This program installed correctly” option to continue using the device. 9. I selected the MAC/PC format option and I cannot store large files on the device. stored on the device (a group of smaller files totaling 4GB or more can be stored, however). By selecting the PC option, the device formats in NTFS and storing single files of 4GB or higher is possible.